This was held 30 Aug - 2 Sept 2007 at the University of California, Los Angeles. The International Mars Society convention presents a unique opportunity for those interested in Mars to come together and discuss the technology, science, social implications, philosophy and a multitude of other aspects of Mars exploration. These will include the latest results from the Spirit, Opportunity, Mars Express, and Mars Reconnaissance Orbiter missions now exploring the Red planet, as well as reports from the historic four-month Mars mission simulation at the Flashline Mars Arctic Research Station on Devon Island, 900 miles from the North Pole, and the sixth season of the Mars Desert Research Station. There will also be extensive political discussions and planning meetings on how we can turn the new space policy into a real exploration initiative that can get humans to Mars in our time. The agenda will also include a wide assortment of panels and debates concerning key issues bearing on Mars exploration and settlement, a banquet with lots of fun entertainment, and plenary addresses from many prominent leaders of the effort to get humans to Mars. Prior conventions have drawn thousands of participants from all over the world and received extensive press coverage in many leading international media. This year’s conference should be the most exciting event to date. 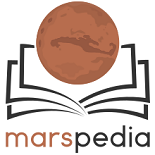 The Mars Society has announced that Elon Musk will be speaking at the 10th International Mars Society Convention, which will be held at UCLA, Los Angeles, August 30-Sept 2, 2007. Elon Musk is the founder and CEO of SpaceX, an entrepreneurial rocket development company that just made history by reaching an altitude of 200 miles with its privately developed Falcon 1 launch vehicle. Much larger Falcon 5 and Falcon 9 vehicles are reportedly under development that will allow SpaceX to radically reduce the cost of reaching space with both medium and large payloads. SpaceX is also developing a man-rated capsule to enable low-cost human transportation to space. Musk is also the Chairman of the Board of Tesla Motors, which just revealed its revolutionary high-speed electric car. In his talk, Elon Musk will lay out his vision and his plans for opening the space frontier. Come hear a real space cowboy! Elon Musk's plenary talk will be presented on the morning of Friday August 31. It will be one of dozens of talks that will be given at the conference by leaders of both human and robotic space exploration efforts from around the world. Registration for the conference is now open at www.marssociety.org. Those wishing to speak should send abstracts of no more than 300 words to msabstracts@aol.com. Deadline is May 31, 2007. This page was last edited on 17 December 2018, at 14:31.